The workshop was hosted by the Cotswold Water Park Trust, who run events throughout the year to showcase the amazing landscape of the Water Park and everything in it. From guided walks, craft workshops, and talks to arranging volunteer days, educational programmes for schools and, of course, wildlife conservation work, the Trust does an amazing job of achieving a balance between development, recreation, nature conservation and local community interests within the park. The workshop was run by a lovely lady called Helen, helped by her equally lovely Mum. 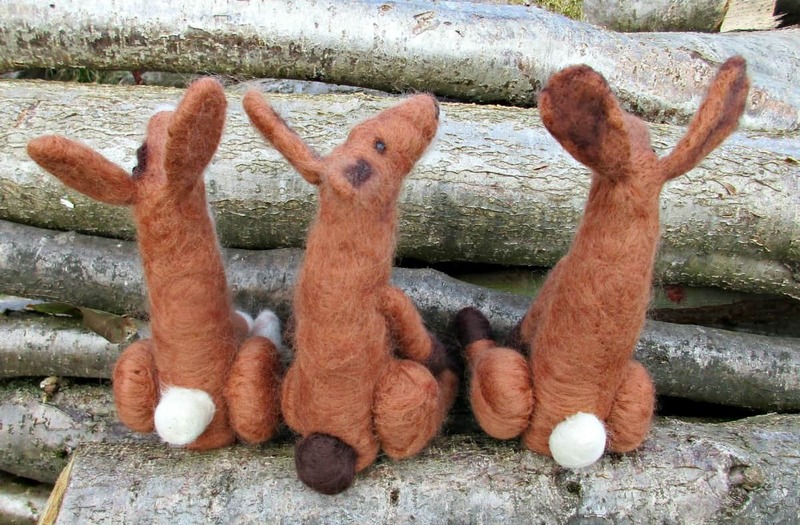 Although clearly talented at needle-felting themselves, I must admit that I had some reservations that we would be able to produce the wonderful finished Hare that she showed us at the start of the class. On arrival, we each found a pack with our basic wool shapes already prepared. 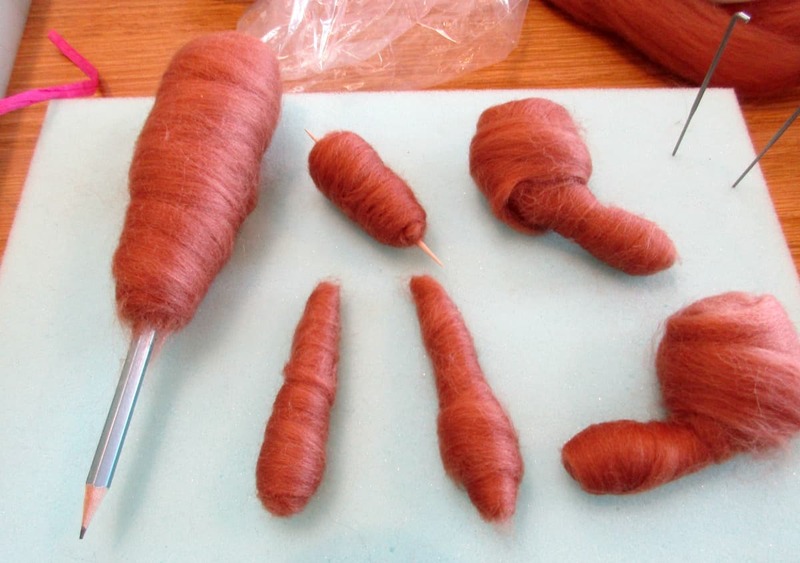 You can see in the picture that the raw, combed wool (in this case Merino) is wound around various forms (a pencil and toothpick). Once we got going and our wool had started to felt (knit together) these were removed. The science behind needle felting is basically that wool has scales on it’s fibres, which easily tangle and lock together to make a dense material (this is what happens when you shrink a woolen jumper). 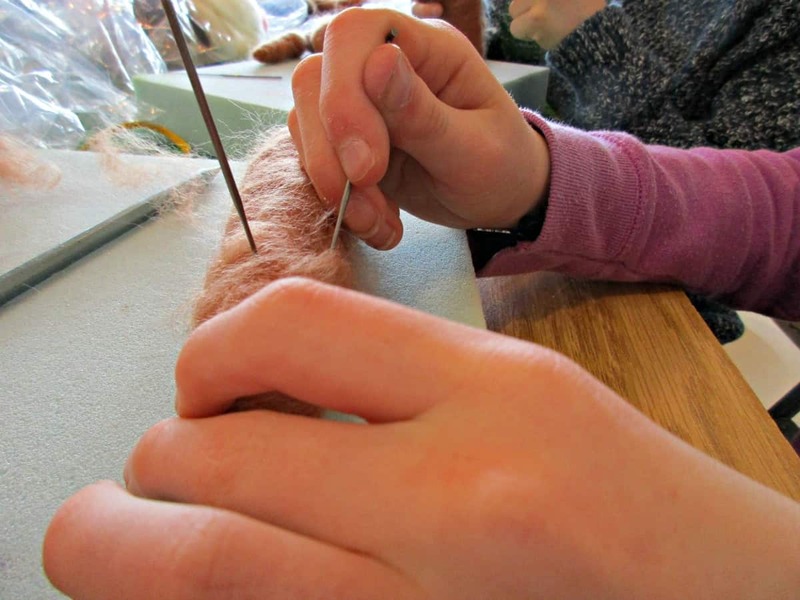 Felting needles have notches which grab the top layer of fibres and tangle them with the inner layers of fibres as the needle enters the wool, so as you repeatedly stab them in, the item you are felting becomes firmer and firmer. Our class lasted 3 hours, Helen was a wonderful (and patient) teacher, and despite a few finger pricks, we quickly got the hang of it. 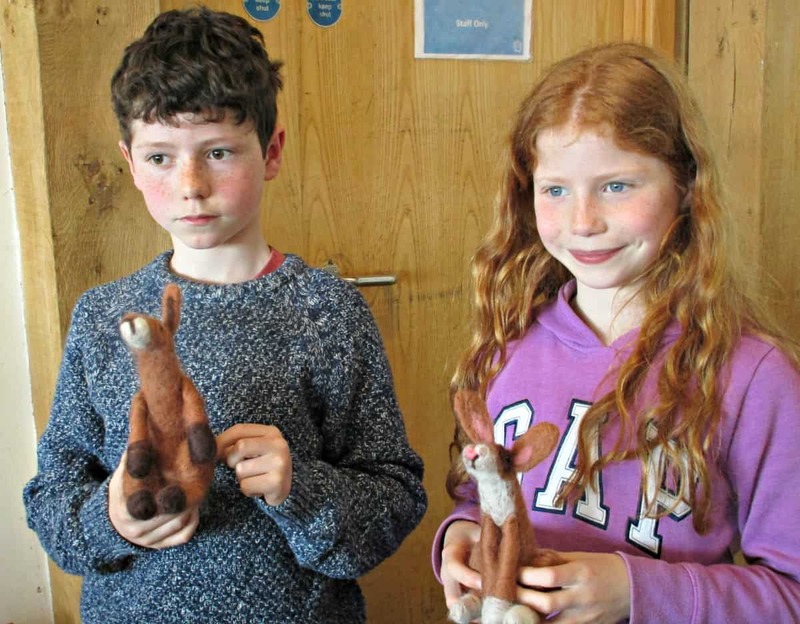 I have to say the kids did amazingly well, concentrating for the whole morning, and were both delighted with their Hares. I am so pleased that we decided to attend the course, we learned such a lot, and it has given us enough basic knowledge to try some projects at home. 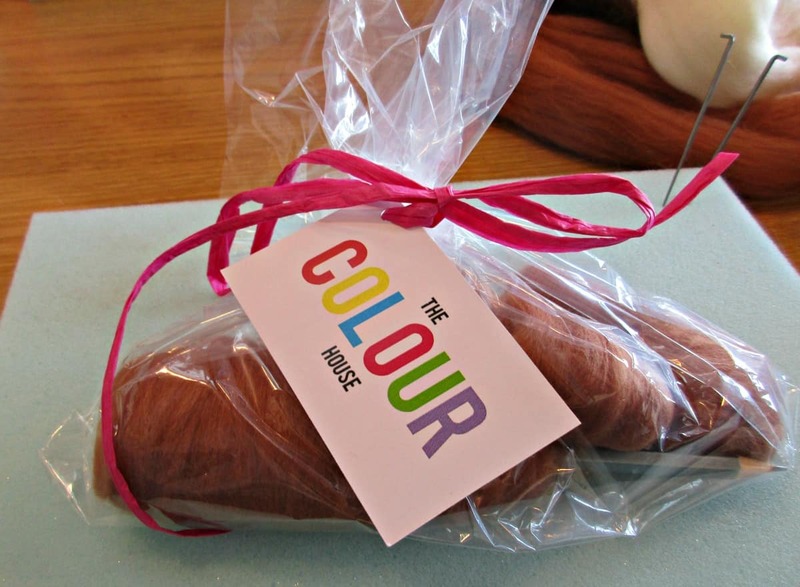 We also hope to attend a wet felting course in the future! The workshop cost £15 per head, which included all our materials, which is amazing value considering the preparation and instruction given by Helen – if you would like to see more examples of Helen’s work she can be found on Instagram. For more information on the wonderful work that the Cotswold Water Park Trust does, you can check out their website here. Hello lovely. Thank you so much for your review of my class on your blog. What a lovely blog post. You all did so well with your hares. I was immensely impressed with your sons concentration he was definitely on a mission and the result was fantastic. Look forward to hopefully seeing you on another course soon.